Da Xue Shan Sheng Tuo Cha is a 2016 vintage raw (sheng) pu-erh from Big Snow Mountain in Yunnan Province. Small compressed dome-shaped cakes produce a golden liquor with a honey aroma. The full flavour has a fruity and floral character with sweet and savoury notes. Each tuo is around 4-5g in weight so our 10g pouches have two tuos per pouch, while 50g pouches have 10-12 tuos. 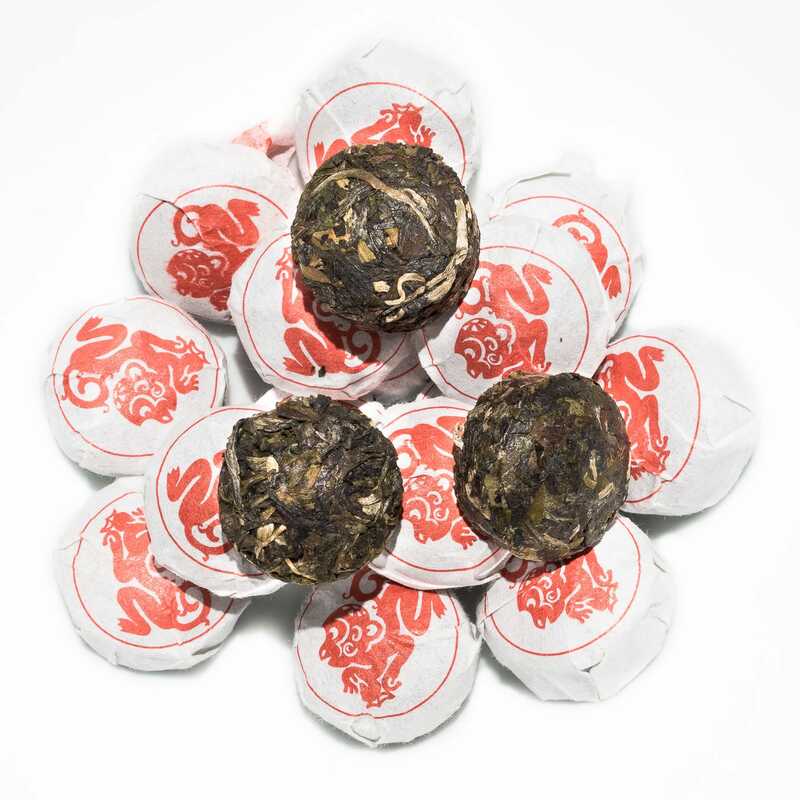 Da Xue Shan Sheng Tuo Cha (大雪山生沱茶) is a sheng (raw) pu-erh from Da Xue Shan (Big Snow Mountain), located in Yongde County, Lincang Prefecture, Yunnan Province, China. 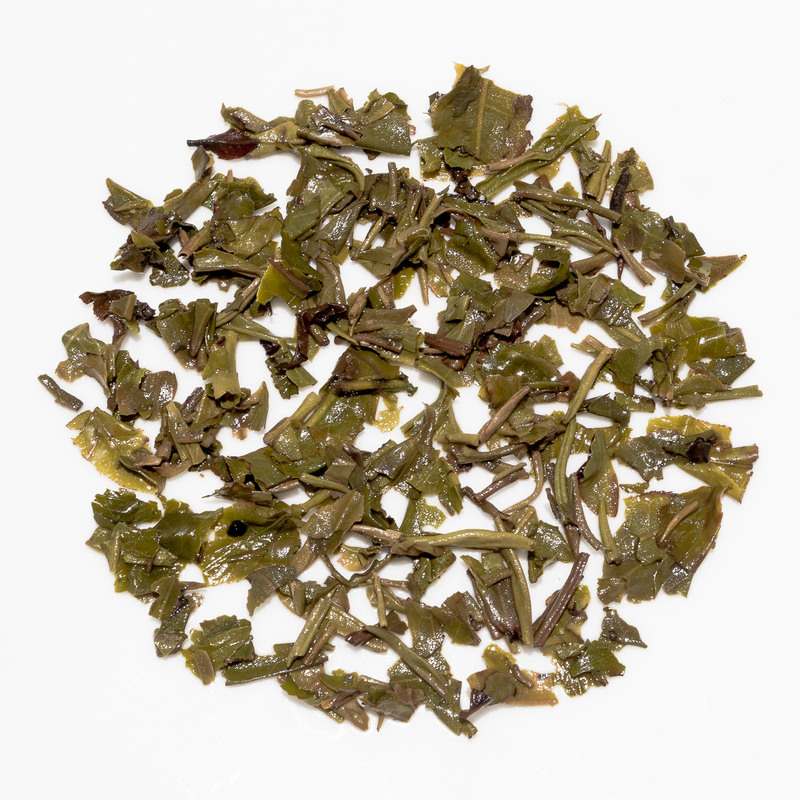 Made from higher grade leaves that most individual-serve tuos, it has a complex character with a full flavour. Our current batch is from 2016. Each tuo weighs approximately 5 grams, making these ideal for hassle-free pu-erh brewing. This Da Xue Shan Sheng Tuo Cha is a great introduction to raw pu-erh both in flavour and convenience. 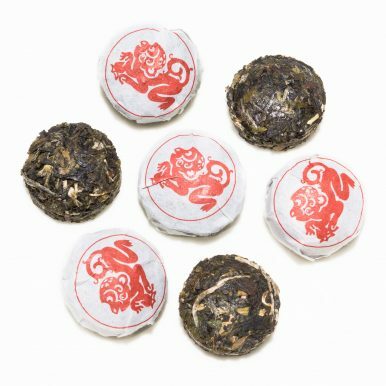 It comes in very neat individually wrapped small dome-shaped cakes that are 4-5 grams in weight. This makes them ideal for brewing in a small teapot – just use one cake per roughly 500ml. You can also split this tuo in half if you prefer to make a smaller amount of tea. The Tuo Cha (沱茶) name refers to the shape of this tea; each tuo is shaped like a small bowl or nest. In terms of size, a tuo can range from 3g up to 3kg. 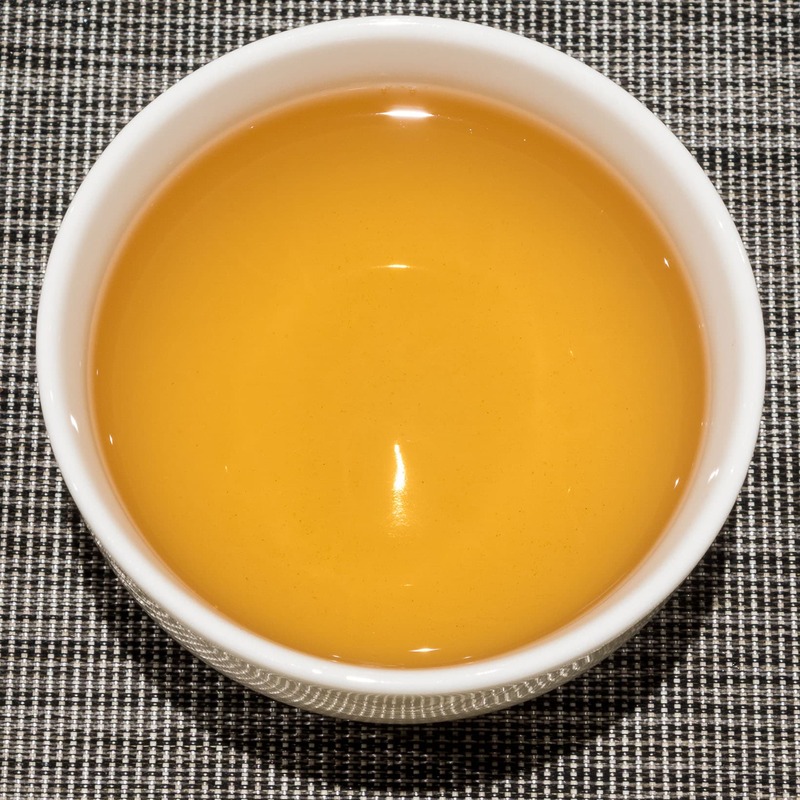 This is a ‘raw’ pu-erh or ‘Sheng Cha’ (生茶). 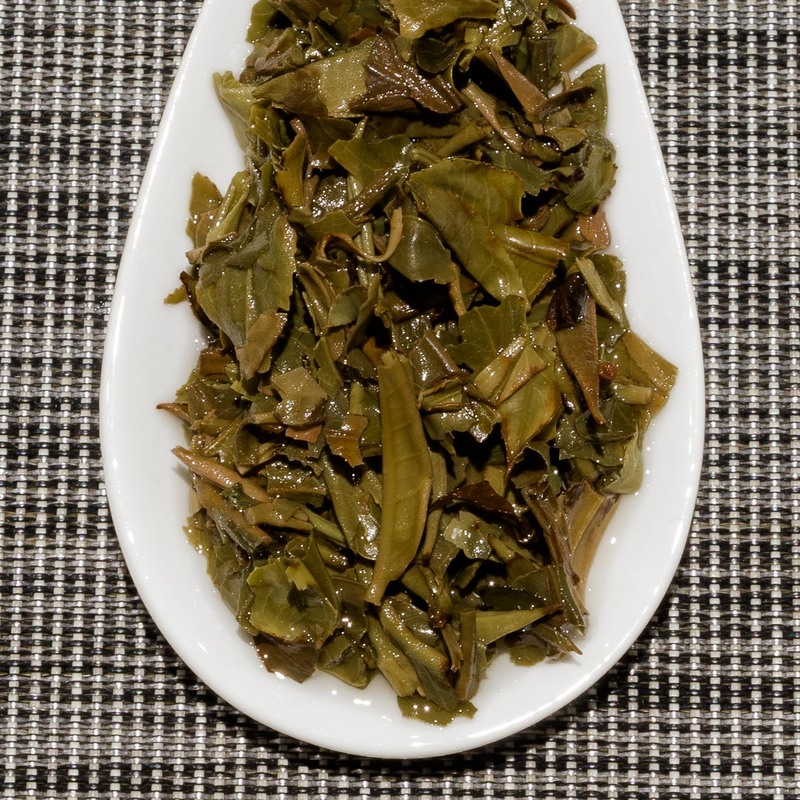 This means that this tea is aged gradually and does not undergo the accelerated fermentation of ripe pu-erh. 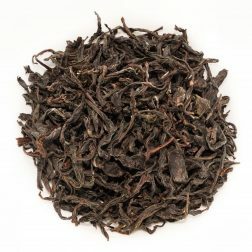 This sheng pu-erh is perfectly drinkable now but this type of tea also improves with age if stored properly. 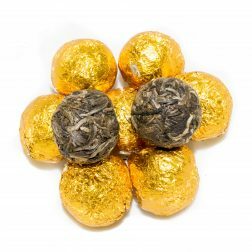 Da Xue Shan Sheng Tuo Cha pu-erh tea comes in small cakes that are formed of tightly pressed dark leaves with silver tips. The leaves are larger and better quality than those used in many other small tuos. 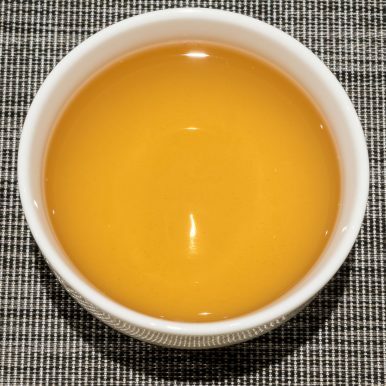 The brewed liquor has a pale golden colour and a honey aroma. The taste is sweet, yet savoury with notes of lush florals. 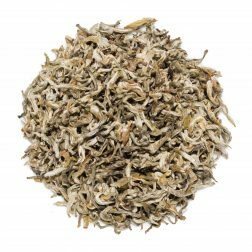 The character of this tea is very full, with a smooth finish. The aftertaste left is on the savoury side with a touch of tannic dryness. 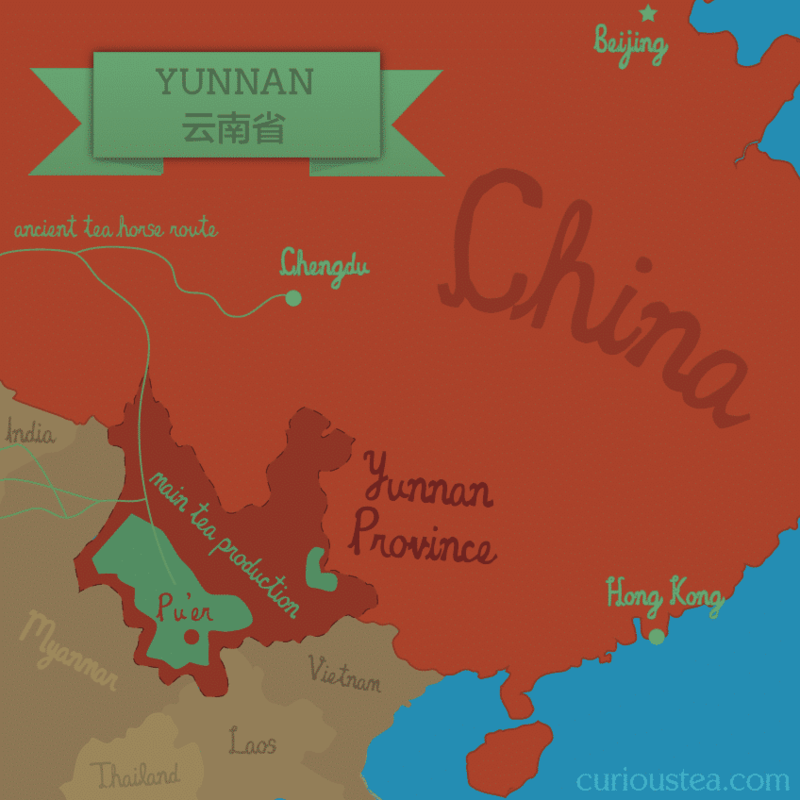 A very satisfying tea that makes a good introduction to the world of sheng pu-erh teas. We suggest brewing at 90°C for 2-3 minutes according to your taste. It should be brewed around 3+ times depending on your taste preferences. These tuos are ideal in weight and size to either use for western brewing (1 tuo per 500ml pot) or gong fu brewing (1 tuo per gaiwan or yixing pot).